The DOM is the browser internal representation of a web page. When the browser retrieves your HTML from your server, the parser analyzes the structure of your code, and creates a model of it. Based on this model, the browser then renders the page on the screen. In Single Page Applications, the DOM continuously changes to reflect what appears on the screen, and as a developer you can inspect it using the Browser Developer Tools. The DOM is standardized by WHATWG in the DOM Living Standard Spec. The main 2 objects provided by the DOM API, the ones you will interact the most with, are document and window. The window object represents the window that contains the DOM document. window.document points to the document object loaded in the window. Properties and methods of this object can be called without referencing window explicitly, because it represents the global object. So, the previous property window.document is usually called just document. location gives access to the Location interface, from which you can determine the URL, the protocol, the hash and other useful information. The document object represents the DOM tree loaded in a window. You can get the document title using document.title, and the URL using document.URL. The referrer is available in document.referrer, the domain in document.domain. You can also get a list of all the element nodes of a particular type, like an HTMLCollection of all the links using document.links, all the images using document.images, all the forms using document.forms. The document cookies are accessible in document.cookie. The last modified date in document.lastModified. 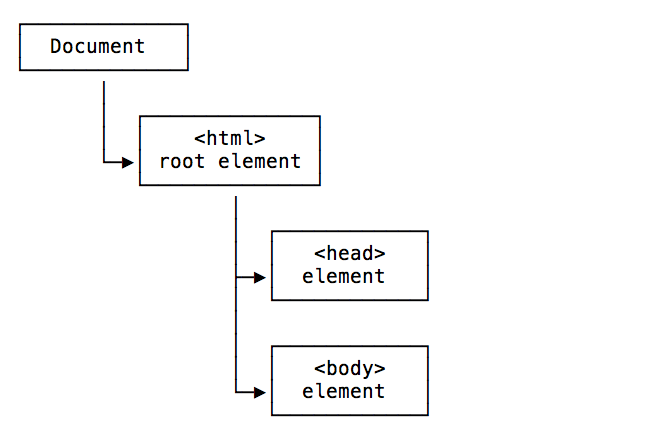 The DOM is a tree of elements, with the Document node at the root, which points to the html Element node, which in turn points to its child element nodes head and body, and so on. 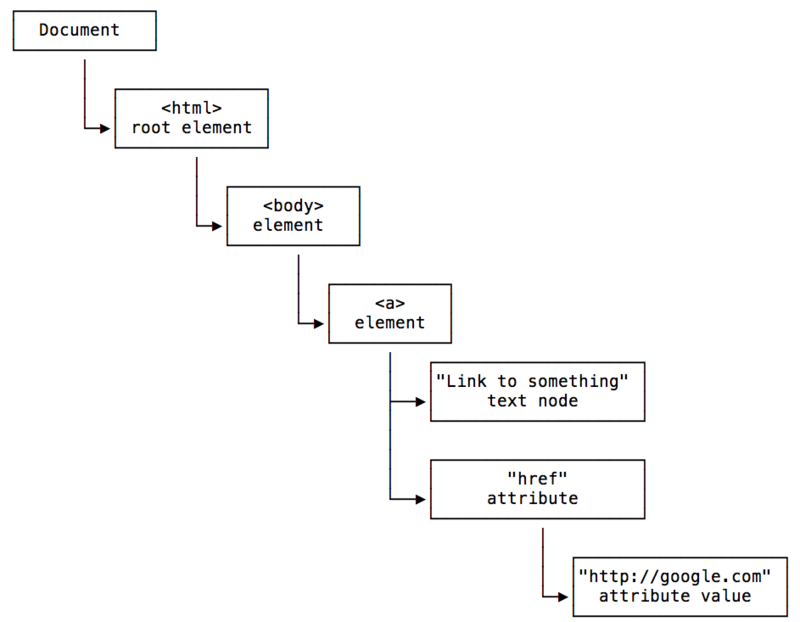 From each of those elements, you can navigate the DOM structure and move to different nodes. Every element has one and one single parent. To get it, you can use Node.parentNode or Node.parentElement (where Node means a node in the DOM). They are almost the same, except when ran on the html element: parentNode returns the parent of the specified node in the DOM tree, while parentElement returns the DOM node’s parent Element, or null if the node either has no parent, or its parent isn’t a DOM Element. People most usually use parentNode. To check if a Node has child nodes, use Node.hasChildNodes() which returns a boolean value. To access all the Element Nodes children of a node, use Node.childNodes. The DOM also exposes a Node.children method, but it will not just include Element nodes, but it includes also the white space between elements as Text nodes, which is not something you generally want. The DOM also exposes Node.firstChild and Node.lastChild, with the difference that they do not “filter” the tree for Element nodes only, and they will also show empty Text nodes that indicate white space. In addition to getting the parent and the children, since the DOM is a tree you can also get the siblings of any Element Node. The DOM also exposes previousSibling and nextSibling, but as their counterparts described above, they include white spaces as Text nodes, so you generally avoid them. 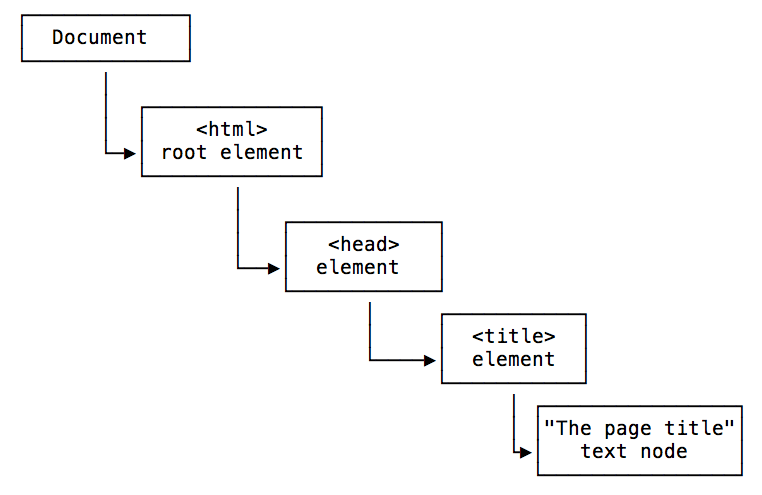 The DOM offers various methods to edit the nodes of the page and alter the document tree. first.removeChild(second) removes the child node “second” from the node “first”. document.insertBefore(newNode, existingNode) inserts “newNode” as a sibling of “existingNode”, placing it before that in the DOM tree structure. element.appendChild(newChild) alters the tree under “element”, adding a new child Node “newChild” to it, after all the other children. element.prepend(newChild) alters the tree under “element”, adding a new child Node “newChild” to it, before other child elements. You can pass one or more child Nodes, or even a string which will be interpreted as a Text node. element.replaceChild(newChild, existingChild) alters the tree under “element”, replacing “existingChild” with a new Node “newChild”. element.insertAdjacentElement(position, newElement) inserts “newElement” in the DOM, positioned relatively to “element” depending on “position” parameter value. See the possible values. element.textContent = 'something' changes the content of a Text node to “something”.